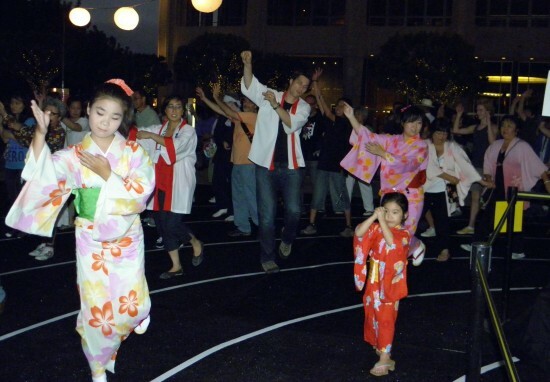 Dance Downtown presented an evening of Japanese festival dancing on Aug. 24 in the Music Center Plaza in Los Angeles. 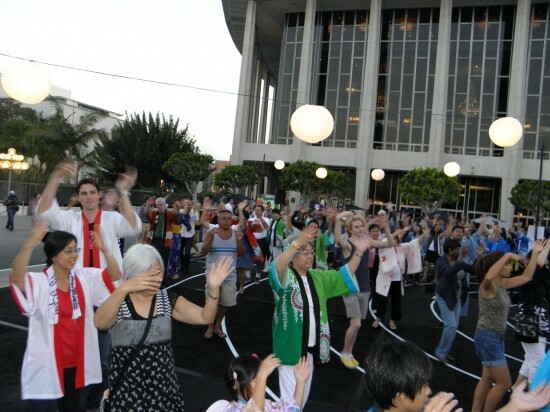 Ondo/Obon dances were performed outdoors with the Dorothy Chandler Pavilion, the Mark Taper Forum, the DWP building and City Hall as the backdrop. 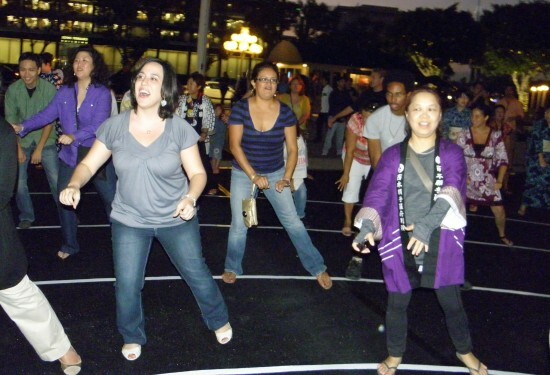 Left: Christine Inouye provided dance lessons for the uninitiated. 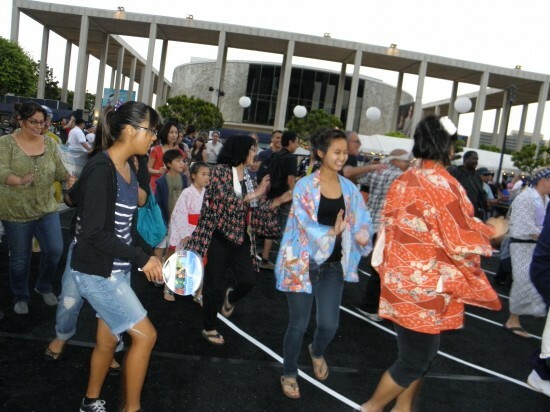 Center: Event coordinator Miles Hamada noted that this was the last ondo of the summer, following Nisei Week and several Obon festivals. 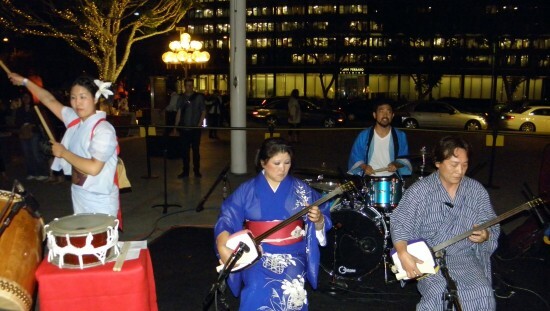 Right: George Abe of Kinnara Taiko kept the beat for the prerecorded songs. 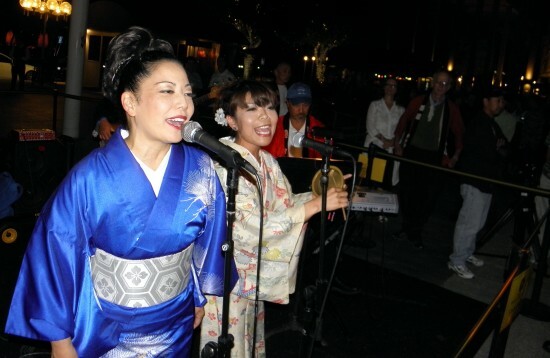 Many of the participants were festival regulars who showed up in yukata or happi coats, but everyone was invited to join in regardless of attire. The Dance Downtown series also included Bollywood on June 29, cumbia on July 13, disco on July 27, ’60s Night on Aug. 10, and samba on Sept. 7.